JOHN JAMES headlines THE MIRACLE WORKER! Golden Globe nominee John James headlines the cast of William Gibson’s The Miracle Worker at Judson Theatre Company (Morgan Sills, Executive Producer and Daniel Haley, Artistic Director). 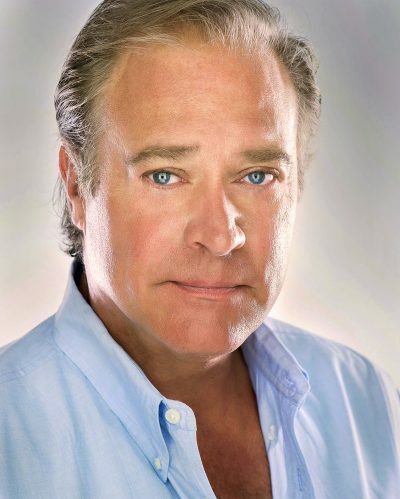 James is best known for playing “Jeff Colby” in the primetime soap Dynasty and its spinoff series The Colbys. The Miracle Worker opens Thursday, April 12 at 7:00 pm and runs through Sunday, April 15 at Owens Auditorium (3395 Airport Road, Pinehurst, NC 28374). James (as Captain Arthur Keller) will be making his JTC debut, along with New York actors Lea DiMarchi (as Annie Sullivan), Lucas Iverson (as James Keller), and Kristin Fulton (as Viney). Returning to the Judson stage are Allison Podlogar (Scout in JTC’s To Kill a Mockingbird) as Helen Keller and Rick McDermott (General MacKenzie in JTC’s And Then There Were None). Additional casting will be announced at a later date. Set in Tuscumbia, Alabama, William Gibson’s Tony Award winning play The Miracle Worker is the beloved true story of Helen Keller and Annie Sullivan. Blind and deaf, young Helen lives tormented and alone in a bleak, dark, silent world. As a last chance before she is institutionalized, Helen’s parents contact Annie Sullivan, a dedicated teacher. As Sullivan struggles to reach Helen and release her intelligent mind from the terrifying prison of her own body, she must also confront the obstacles in Helen’s family: her domineering father, her heartbroken mother, and her resentful brother. The Miracle Worker is the powerful true story of one of the most inspirational figures of all time. Thursday, April 12, 2018 at 7:00 p.m.
Sunday, April 15, 2018 at 3:00 p.m.
Tickets may be purchased online now at https://judsontheatre.com/. Beginning March 1, tickets may be purchased in person at The Country Bookshop, Given Memorial Library, and the Arts Council of Moore County in Southern Pines. For Discounted Group Rates (10+) email: JudsonTheatre@gmail.com Discount Student and Military Rush tickets available at the door (limit 2 per ID). The Sunday, April 15 performance benefits Vision4Moore and their partner for the event, Boy Scouts of America (BSA). John James (Captain Arthur Keller) began his acting career at the age of 20 on the classic soap opera Search for Tomorrow. Soon after his talents caught the eye of ABC Broadcasting and he was cast on Aaron Spelling’s 80’s mega hit Dynasty playing Jeff Colby. The series was a cultural phenomenon. Mr. James’s success on Dynasty spawned the spin-off; The Colbys based on his character and co-staring Charlton Heston. His post-Dynasty career has flourished: James was a recurring cast member on three national daytime soaps as well as national Broadway tours. A Golden Globe nominee, he has guested on national talk shows such as Oprah, Larry King Live, Entertainment Tonight, Joan Rivers, and The Tonight Show. He has hosted two nationally syndicated magazine programs and is constantly in demand as a corporate spokesman; his distinctive baritone voice can be heard in numerous voice-overs. He has made countless appearances on TV series, and lead roles in numerous television movies. In film, James starred in Icebreaker (2000) with Sean Astin, Bruce Campbell, and Stacy Keach; in The Cursed aka Peril (2001) Morgan Fairchild and Michael Pare; in Lightning: Fire from the Sky (2001) with Jesse Eisenberg, Stacy Keach and John Schneider and in Chronology (2015) with William Baldwin and Danny Trejo. He produced and starred in Illegal Aliens (2007). In 2012, James starred, and produced the documentary, Addicted to Fame (2012), about the making of their film Illegal Aliens. Currently James is producing and starring in the sci-fi action adventure, Axcellerator. This film reunites him with The Colbys co-star Maxwell Caulfield. Mr. James and his wife Denise of 27 years have two children. Phillip is serving in the USAF, and their daughter Laura is an actress and won Americas Next Top Model 2012. William Gibson (Playwright) made his Broadway debut with Two For the Seesaw. The play originally starred Henry Fonda and Anne Bancroft and was later made into a film starring Robert Mitchum and Shirley MacLaine. Gibson wrote the book for the musical Golden Boy which starred Sammy Davis Jr. His bioplay about Golda Meir, Golda’s Balcony, is the longest-running one-woman show in Broadway history. Gibson’s most famous novel is the bestseller The Cobweb, which was translated to the screen in an MGM film directed by Vincente Minnelli and starring Lauren Bacall, Richard Widmark, and Charles Boyer. Gibson first wrote The Miracle Worker as a teleplay in 1957. He adapted it for the Broadway stage in 1959 (winning a Tony Award for Best Play) and for the screen in 1962, receiving an Academy Award nomination for Best Adapted Screenplay. The actresses who previously had won awards for their performances in the stage version (Anne Bancroft, Tony Award; and Patty Duke, Theatre World Award) received Academy Awards for the film version as well. “In the tradition of our productions of Driving Miss Daisy, To Kill a Mockingbird, and Steel Magnolias, Judson Theatre Company is proud to produce this beloved Southern story.” states Executive Producer Morgan Sills (Broadway’s Of Mice and Men, Party Face starring Academy Award winner Hayley Mills) “We’ve been waiting for just the right time to produce this Tony-winning play. We’re honored to have Dynasty‘s John James join us to play Helen’s father, Captain Arthur Keller.” says JTC’s Artistic Director, Daniel Haley. As Moore County’s only professional theatre, Judson Theatre Company has been bringing the stars to the Sandhills since 2012. JTC is the recipient of the North Carolina Theatre Conference (NCTC) George A. Parides Professional Theatre Award for Excellence In Professional Theatre for their series of unique productions designed to enrich the cultural fabric of Sandhills and the state of North Carolina. Previous productions include The Sunshine Boys starring two-time Emmy winner Robert Wuhl and Don Most; Agatha Christie’s And Then There Were None starring Alison Arngrim; Twelve Angry Men starring two-time Emmy winner John Wesley Shipp (The Flash); On Golden Pond starring John Davidson; Love Letters starring Hollywood icon Tab Hunter and TV favorite Joyce DeWitt (Three’s Company); Driving Miss Daisy starring four-time Emmy winner Michael Learned (The Waltons); To Kill a Mockingbird starring Johnny Whitaker (Family Affair); and Neil Simon’s Plaza Suite starring Eve Plumb (The Brady Bunch) and Rex Smith (Solid Gold). Tim Garner wins Broadway World Award! 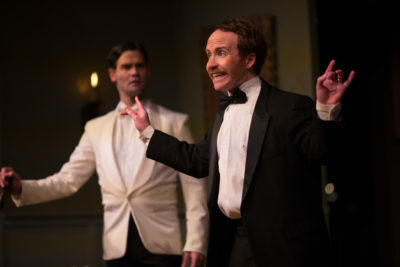 Judson Theatre Company audiences will be glad to know that Tim Garner has won the BroadwayWorld Raleigh Award for Best Featured Actor in a Play (Professional) for his performance as Blore in Judson Theatre Company’s AND THEN THERE WERE NONE. Tim appeared in both 2017 JTC shows and it’s always a pleasure to have him on our stage. Congratulations, Tim!